If you’re looking for realistic texture, pattern and color that create the warmth of natural hardwood or the beauty of tile, this may be the type of flooring for you. LVT and LVP are an alternative to hardwood and tile that is durable, low-maintenance, and an environmentally friendly choice for both residential and commercial environments. LVT and LVP are resistant to slipping, heat, light, chemicals and water making it the ideal flooring for busy households and businesses. This type of flooring is also scratch-resistant, easy to clean and maintain and is also kid and pet-friendly. 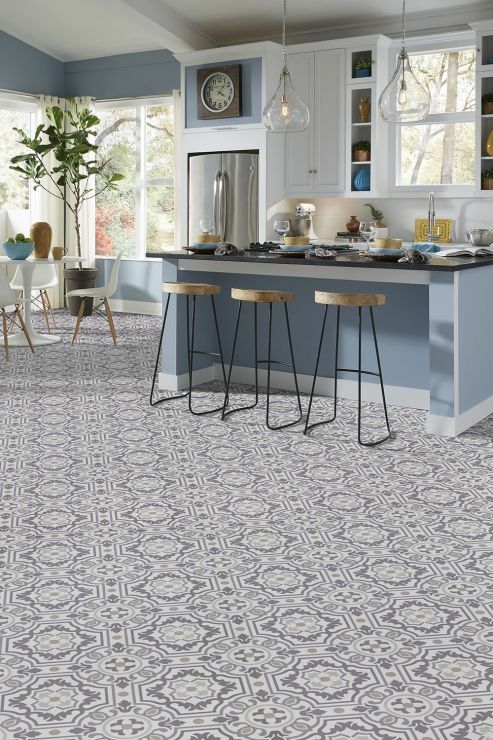 Available in an assortment of both square and rectangles, you can design your floor just as you would with real tile by choosing a layout and grout options to make it even more realistic. 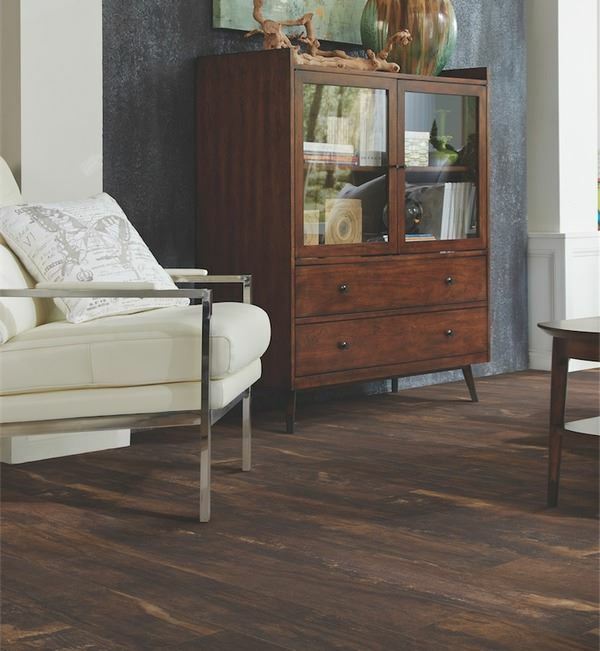 With the LVP, plank sizes vary to portray the realistic look of hardwood as well. This type of flooring can be installed either by glue-down or click (floating). With the click installation, you have no glue, no fumes, and no mess. Floors are ready to walk on immediately. However, with either option you can be sure to get a fast, easy, worry-free installation. Routine sweeping and wet mopping keeps the floor looking new and it is durable and tough enough to handle your mess makers. It provides protection against stains, scuffs and scratches and will not harbor dust mites or other allergens making it perfect for any room in the home. 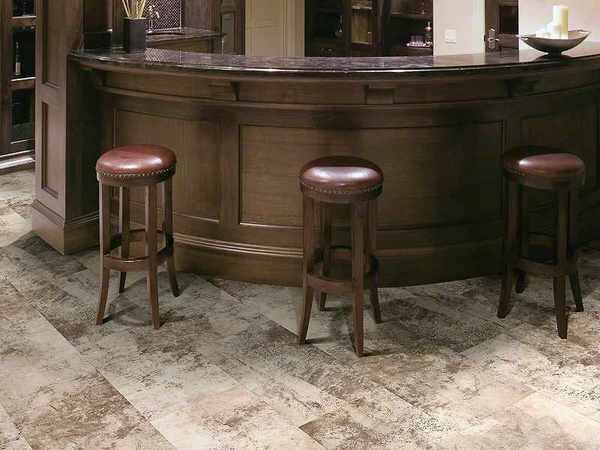 Vinyl flooring, also known as Resilient flooring, offers a wide selection of different patterns, textures and colors, while also being practical, functional and a fashionable option for your household. It is known to be warm and cushiony underneath your feet and is very affordable. When it comes to vinyl, you really do get what you pay for. Some vinyl floors offer premium wear-layers with superior resistance to stains, scuffs and scratches and make cleaning very easy. The more expensive vinyl floors are also designed to protect your floor from rips, tears, gouges and permanent indentations.